I love any kind of facial treatment. I really am up for trying anything. A chance to give your skin a well deserved treat. 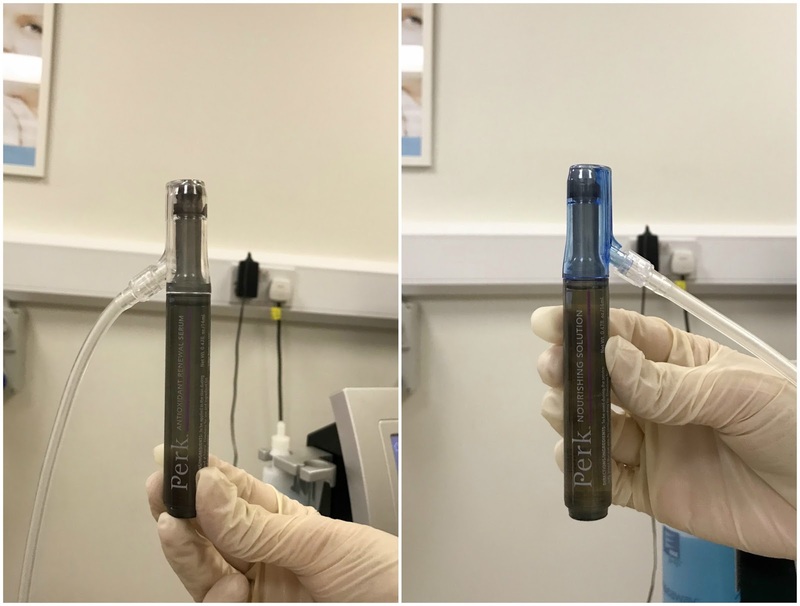 I was invited along the other week to a clinic called Medizen, based in Sutton Coldfield, Birmingham, to try out their Perk treatments. 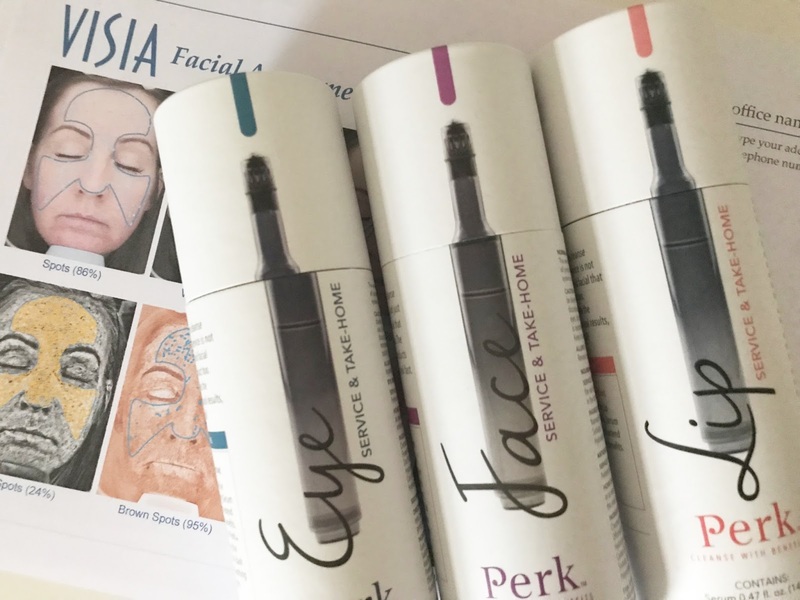 Perk is the worlds first hybrid facial and is perfect for those that don't have that much free time as it can be performed in as little as ten minutes (depending on the area being treated). It's a system that gives you immediate results and not only that, you get take home products to enhance and maintain the effects of your treatment. 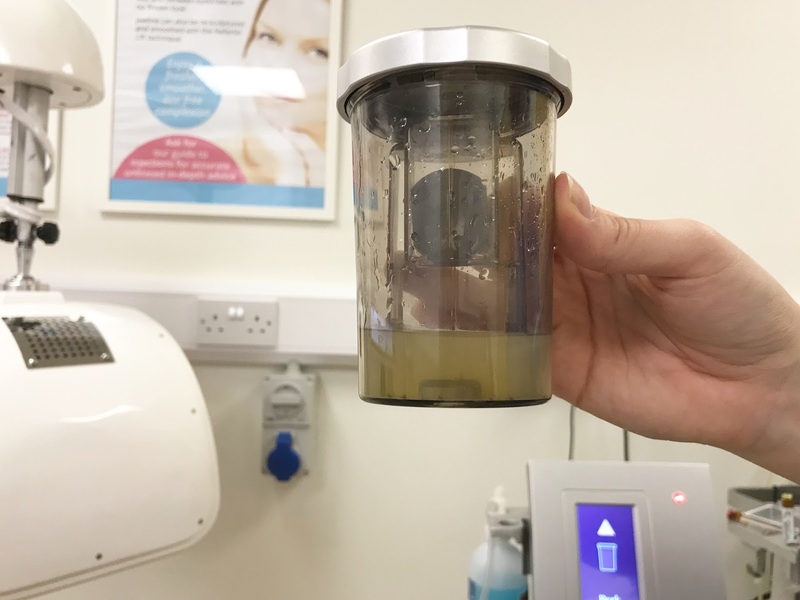 I've had the hydra facial before at Medizen (that will be on the blog soon) and I've also had the collagen pin treatment (read here) but was really interested to see how these mini treatments faired. On arrival I was taken to have a Visia skin analysis. Nothing scary, it's a state of the art machine taking various images of your skin, images that allow them to see your skins condition which is invisible to the naked eye. The clinic, and you, then have a better understanding of what your skin needs and Medizen feel the skin analysis is an integral part of the treatment. I know you're going to be looking at those percentages on my print out aren't you? Well, apparently the higher the better, so go me!!! Analysis done, I was taken to the treatment room in the Medifacial lounge where the process was explained to me in detail. The areas that can be treated are eyes, lips and face and I was having all three. So, basically over time, as we all know, dead skin can build up on the surface, blocking pores and stopping all our fabulous, and often very expensive products from working properly. Every now and then our skin really does need a deep clean and this is where Perk comes in. Perk uses a roller-flex technology to gently remove the layer of dead skin cells and impurities whilst delivering vital antioxidants. Each area has a different product applicator and serum and it gets attached to the Perk machine (as you can see in the shot below). The treatment itself is really gentle, it's a liquid exfoliation with a sort of slight pressure and suction if that makes sense? That's the best way I can really describe it. The pores are gently flexed and the roller ball that's on the product applicator pushes in the nutrients, ensuring a deep absorption, and fresher skin as a result. I would say all three treatment areas took around 30 minutes, so not long at all. My skin was left with some slight redness, but my skin is touch sensitive anyway so I expected that. It disappeared quite quickly though. I could see a difference immediately, my whole face looked refreshed but most noticeable was my under eye area. It's the first thing I saw when I was handed the mirror. The skin under my eyes is quite dry and dehydrated and it most definitely looked more plump and hydrated post treatment. Lips looked a little fuller too! This little pot contains the gunk from my face, mostly dead skin, how nice!!! The added bonus are the take home treatments. Half the serum is used in the treatment and then you get the other half to use at home which should last around 30 days, a little goes a long way. They're super easy to use, with a rollerball applicator the serum glides on. You roller it on and then gently massage into the skin. Simple. I've been using these twice a day and have continued to see results long after the treatment at the clinic. Well, first off, it's a system that is tailored to you, it caters to your individual needs. You can just go for the one area that may be a concern or have all three!! You choose. It's hassle free, super quick, and can easily fit into your busy routine with no down time. It's easy on the purse with treatments starting from as little as £39! Great treatment option pre christmas or New Years Eve party so why not get yourself booked in!!! You can find all the details on Perk at Medizen right here and if you have any questions at all just give them a ring. The staff are so lovely and will be more than happy to help with any questions you have. Thank you to Medizen for inviting me along for the treatments for the purpose of this review. All thoughts and opinions are my own. Sounds like a great idea and treatment.